I wonder if I should post my amiibo collection? It might only make me cry and regret the amount of money spent. post your awesome amiibo collection. Okay. I'm away from home right now, but when I get back, I will post a pic of my amiibo collection. Counted mine a couple of weeks ago through a sort out/tidy up and I had 99. I've since added the last six Smash amiibo and the yarn Poochy. wiimote it's awesome you got 95 amiibo collection. Last edited by Fisher on Fri Aug 18, 2017 10:48 pm, edited 1 time in total. I forgot to mention the Pikmin amiibo one which released a few weeks ago too. EDIT: There are 9 cards in the binder, btw. Last edited by RainbowGazelle on Fri Aug 18, 2017 7:02 pm, edited 1 time in total. I really need to sell that extra King Dedede, but CEX will only pay £2 for it. I'm not counting how many amiibo cards I got but I no I probably got 100 odd. If anyone missed them Amazon are currently taking orders for the new two Metroid amiibo here - Metroid and here - Samus. New Shovel Knight amiibo announced. 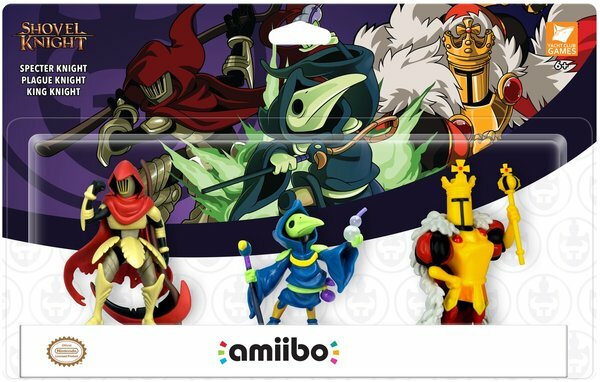 Those Amiibo look brilliant, hopefully the triple pack will come over here. The trailer for these Amiibo is hilarious. Shovel Knight amiibos are awesome. I gotta say, these do nothing for me. And I love me some amiibo. how many amiibos have you got. If you're talking to me then over 100, about a 109 I think.